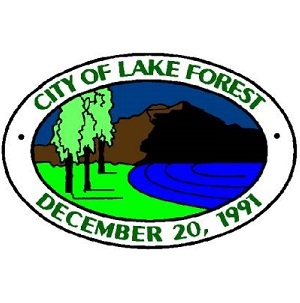 The City of Lake Forest contracts with the Orange County Sherriff’s Department for Police services within Dana Point. If you were arrested in Lake Forest, you were either arrested by a Sherriff or by a CHP. Both the Sherriff’s and the CHP have video cameras in their units which record the enforcement stop, the field sobriety tests and any breath tests given in the field. These video tapes can provide important information for an experienced DUI defense lawyer. For those seeking a Lake Forest DUI lawyer, the Law Office of Barry T. Simons is the leading provider of excellent DUI defense. With decades of experience and extensive training, our legal team is uniquely suited to defend DUI clients through a wide variety of sophisticated defense strategies. We will work hard to give you every possible chance to keep your driver’s license at the end of this challenging process. One of the most important aspects of any DUI case is the scientific data that was used to determine your sobriety and driver impairment. In fact, the data most often presented is not arrived at through scientific means at all. The field sobriety tests commonly used by law enforcement officers are thought of as accurate, but the reality is that they are subjective and prone to errors. Our attorneys can highlight these dubious tests in order to show how ultimately irrelevant they are to your case. If you have been arrested for a DUI, it’s important to act quickly. You must schedule a hearing with the court sometime during the first 10 days. If you fail to act, you will be subject to a number of consequences. The first part will be immediate suspension of your license. Following that, you may have to endure extra fines and even potentially time in jail. For those reasons, it is in your best interest to contact us as soon as the incident happens. The Law Office of Barry T. Simons is there for you in these difficult times. We understand that timing and details are crucial, so we will begin gathering evidence and preparing your case as soon as we hear from you. With Barry T. Simons and his talented team of legal professionals on your side, you’ll have the best possible chance to keep your license and move on with your life.